Beloved and respected by all in her kingdom. 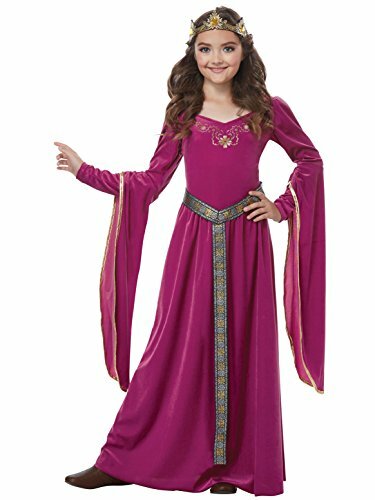 The Medieval Princess girls costume is a magenta purple (berry) dress with long flowing flared sleeves. 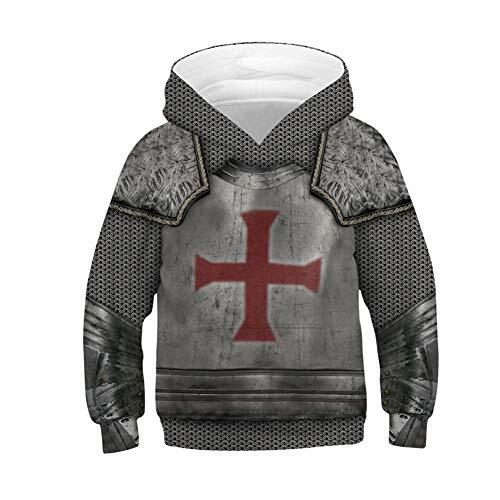 It includes a crown and belt with a vertical stripe. Shoes not included. The new king is crowned, all hail the king! 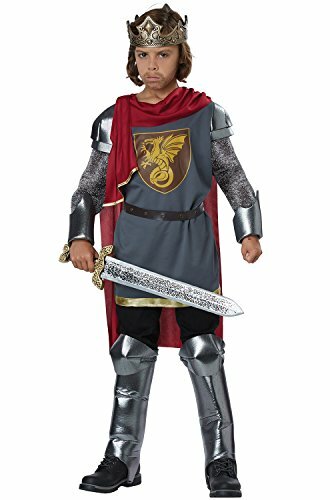 The Medieval King child costume is grey tunic top with a dragon shield print. The top has a pair of attached foam shoulder pieces and faux chainmail sleeves. 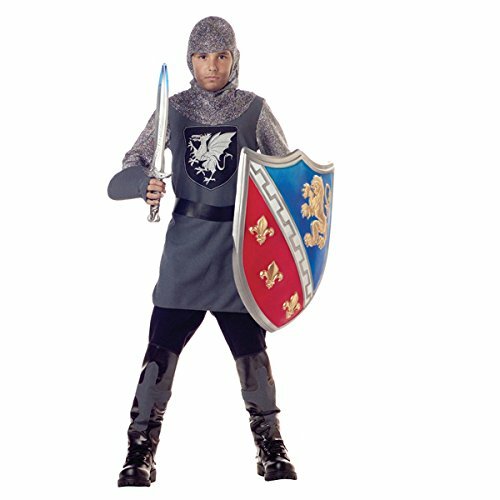 It also includes a detachable red cape, a belt, a crown and a pair of wrist cuff and leg guards. 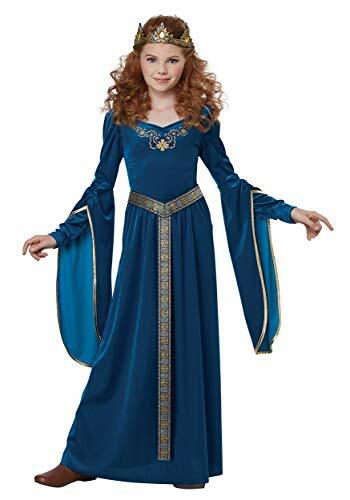 About Expeke: We are professional costume manufacturers，our costumes are all tailored made according to Amazon US size.we offer custom size for women,men,girls ,boys;if you need custom size ,please email us your Height,weight,bust,waist,hips,shoulder width,etc. About Shipping: Our processing time is usually 7-13 days,10-15 days in Halloween.Standard shipping will take 12-24 days to arrive,Expedited shipping will take 3-5 days to arrive. 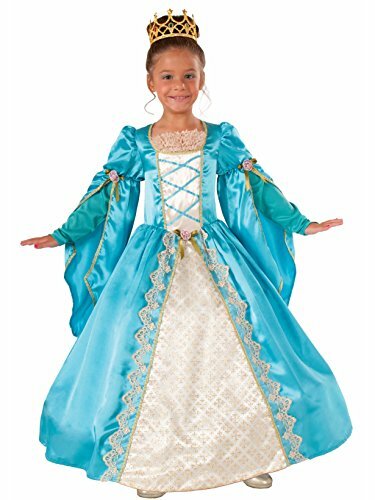 About Service: We work on providing high quality costumes for Halloween,Party,Holiday,any questions please feel free to email us. 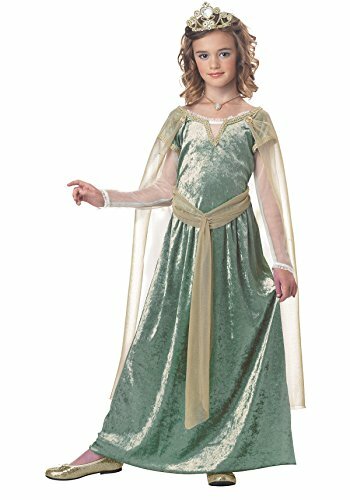 Kids Girls Medieval Renaissance Dress Costume Halloween Cosplay Hooded Robe Gown 4-12TNot Amazon Size!!! Please check size information on pictures before purchase!!! 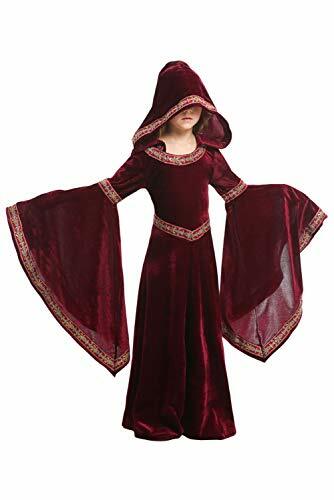 Our girls medieval costume is featured with floor length, trumpet sleeve, hooded style, which make your kids beauty and adorable.